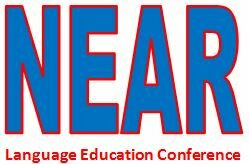 Every year, JALT Niigata is proud to sponsor the NEAR Language Education Conference. The theme for this year's NEAR Language Education Conference is Teaching and Learning in Local Contexts. All presenters are invited to submit to our annual peer-reviewed collection. Download the call for papers is here. Open until February 11th 2019. Where: Campus of the University of Niigata Prefecture in Ogata (map here). Presenting: Information for presenters coming soon. Please access the ﻿website﻿ for more information and join us again for an inspiring and enjoyable experience. The 2018 NEAR Language Education Conference was a great success and the organizers would like to thank everyone involved in planning the event and bringing it all together on the day. We are now looking towards 2019 and the 11th NEAR Conference. We are looking for JALT Niigata members who are interested in helping out. Volunteers are needed on the day (tech support, registration, party planning, etc). If you are interested in helping out, please send us a quick email at jaltniigata@gmail.com to let us know what you are interested in.